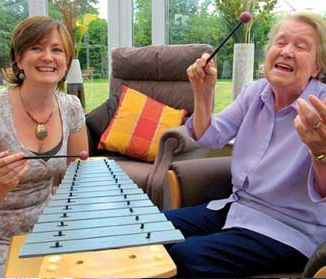 Volunteers are the champions of compassion within the hospice care continuum. They provide non-medical assistance in the form of socialization and companionship. This can range from simple things like reading, conversing and running errands – to more specialized services as listed below. Why is touch so powerful? The reason why is intertwined with life and death. It is based on the recognition that the tactile experiences are the very first sensations which greet us at birth and are also the last perceptions to leave us when we die. Touch has been known to penetrate the nonverbal state in patients who are unable to speak. At times, patients may reduce their demand for drugs when massage is an integral part of the treatment protocol. 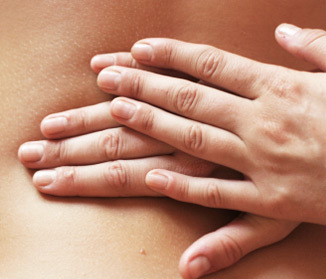 How is massage therapy different in hospice care? We emphasize geriatric massage techniques which are directed toward the amelioration of pain, rather than vigorous approaches of deep tissue work or acupressure. A healing art that works under the premise that we are energetic beings and sometimes our energy gets blocked by illness or trauma. Reiki can be traced back to Tibet. It was reintroduced in Japan in the 1920’s and brought to the US in 1937. 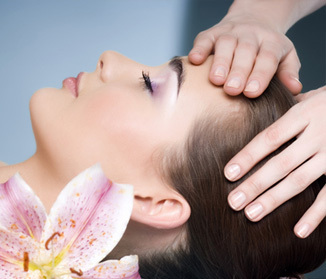 Reiki is a non-invasive treatment provided through the positioning of the practitioner’s hands placed on or just above the fully clothed body including areas around the head, shoulders, stomach, legs and feet. Sessions can last from ten minutes to more than an hour, depending upon available time. Research has shown that music is the first outside sensation that registers with a developing fetus and the last that registers with us when we die. Contact with therapy pets in many cases can trigger the release of endorphins in a person’s brain thereby significantly reducing the patient’s anxiety. There is no doubt the positive effect that pet therapy provides in lives of the ill, grieving or withdrawn. Improved eating. Dementia patients have been shown to eat more following a visit. Promote Physical activity. 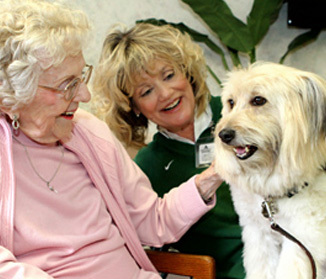 Depending on a patient’s mobility, they may be able to groom the animal, toss a ball, or even go for a short walk. Art can produce a powerful release of feelings that can be healing to the mind, body and spirit. 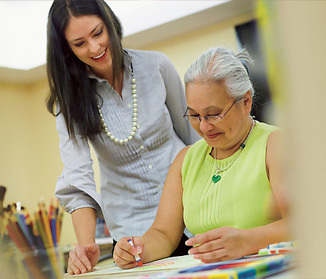 The process of dying is a unique and vulnerable time, as our patients near the end of their physical journey, Art Therapy can allow freedom to express their mood, emotions or thoughts. Whether the activity involves putting a brush or just a hand to paper or assembling images into a collage, Art Therapy can be used as a healing outlet for life’s coming transition. The artwork created is pure and honestly leaving behind beautiful memories. 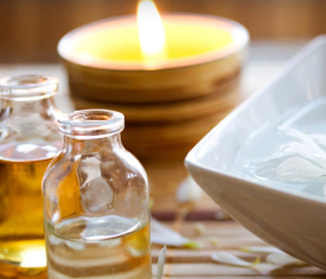 Aromatherapy is the use of essential oils to decrease pain, anxiety, depression and to promote an increased sense of well-being.